The »Quintette du Hot Club de France« founded in 1934 by Django Reinhardt and Stéphane Grappelli was one of the first European jazz formations that, having been influenced by American Jazz and traditional Sinti Music, created a completely new style of Jazz and became role models for many subsequent music generations. 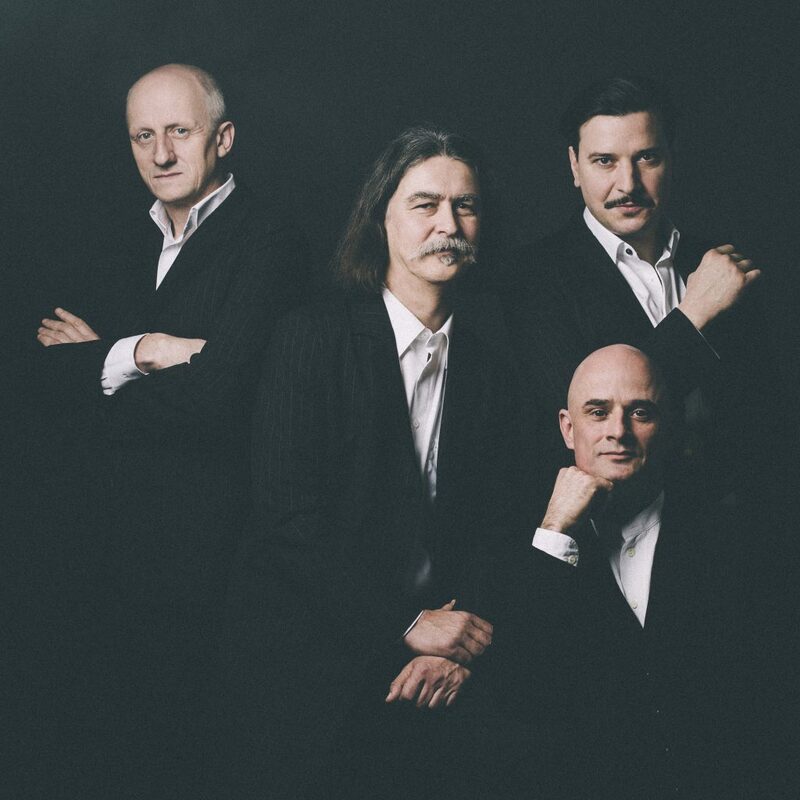 At the beginning of the last decade, the guitarist Karl-Heinz Vogel and the violinist Thomas Prokein crossed paths whereupon they both recognized their mutual affection for the »gypsy jazz« of »Quintette du Hot Club de France«. During their initial practice sessions together, they promptly realized their vast musical compatibility. In order to get closer to the original sound, the instrumentation was made complete by the guitarist Klaus Jacob and the double bass player Hendrik Bertram. What was at first primarily a concept quickly transformed into a bona fide band, resulting in the establishment of the »Hot Club d’Allemagne«. The band has continued to develop since this time. While there was an emphasis in the beginning on interpretation of the repertoire of their great musical idols, the musicians quickly found ways to extend this tradition and enliven it with original compositions. Even their public presence intensified with time – one could soon experience »Hot Club d’Allemagne« frequently on-stage in the highly-acclaimed MDR Kultur-Café (national radio) or, among other venues, at the Leipzig Opera-Ball. A special high-point was the collaboration with »Late Night Jazz« in the context of the Dresden concert series »Jazz in the Semper Opera House« in 2004. In November 2004 Georg Prokein joined the band as double bass player. 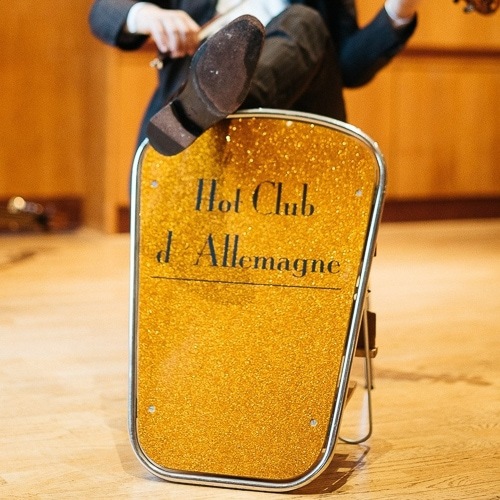 »Hot Club d’Allemagne« is also striving to keep the legacy of Django Reinhardt and Stéphane Grappelli alive in the future as well by trail-blazing new musical directions, enabling a wider audience to take part in their own enthusiasm. We would like to extend a heartfelt invitation for you to join us as well! 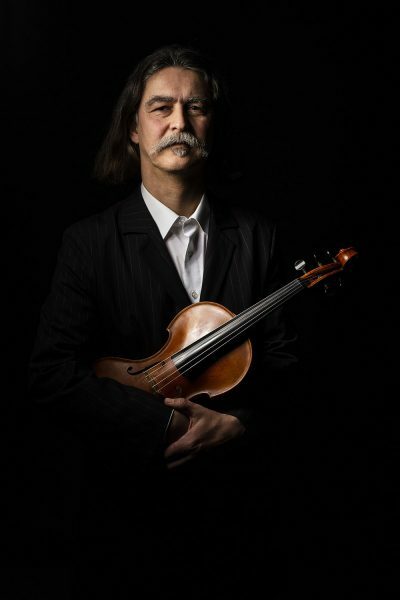 Guided since his childhood by respective instruction in violin technique, Thomas Prokein had always regarded musical experimentation above and beyond the classical norms to be a particularly significant and intriguing aspect of the instrument. Parallel to his studies in orchestral music at the University of Music and Theatre in Leipzig, he thus initiated serious effort in this direction and was able to enjoy early successes with, among others, the group “Holderfleiß” and “Swinging Way”. Instructional courses with “Modern String Quartet” (Munich), Helmut Lipsky (Canada) and Didier Lockwood (France) later complemented his training. Following his successful engagements with orchestras throughout Central Germany and the emergence of a growing desire to work more independently, he became a freelancer in 1988. 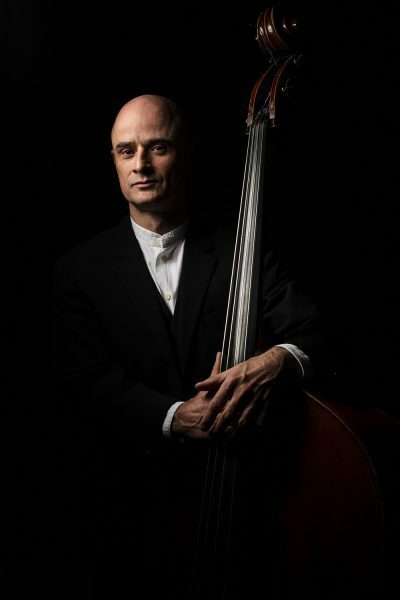 Since this time, Thomas Prokein has been in demand as a multi-faceted improviser, studio and theatre musician as well as a collaborator for certain crossover projects. Of particular interest are his engagements with Ilona Schlott (“Frejlech un gesunt”), the VIELHARMONIE Orchestra (1991-98), the LeipJAZZig-ORKESTER (since 1998), and the Ensemble Creativ (since 2000). For solo assignments – frequently within the framework of theatrical performances – he has been hired by Leipzig’s own Schauspiel Theater, Opera House, and Musikalischer Komödie, the Deutsche Theater Berlin, Tanztheater Irina Pauls, the Thalia Theater Halle/Saale and Theater Ingolstadt, among others. He has assumed a teaching assignment every year since 1994 at the University of Music and Theatre “Felix Mendelssohn Bartholdy” in the subject Jazz-Violin. Guest engagements with various ensembles have enlisted his services throughout Europe, Russia, Japan, Argentina and the USA. His activities with, in particular, the French violin tradition in jazz led to the 2002 founding of the “Hot Club d’Allemagne”. Thomas Prokein plays on a violin built by Fritz Arnold Brückner in 1958 and a bow fashioned by Konstantin Krutzsch in 2002. The jazz and blues-rock guitarist Karl-Heinz Vogel, residing in Leipzig since 1995, spent his first 19 years in the Saxony small town Waldenburg. After three years of music-school training and experience in various youth bands, he began his professional career in 1983. In 1985 he emigrated to Hamburg, where he continued his studies in jazz, rock and classical guitar music. 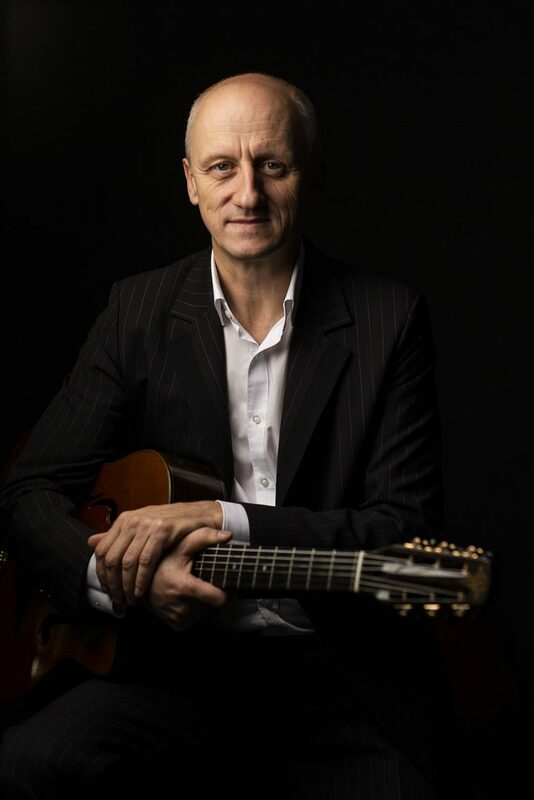 In this Hanseatic metropolis the gypsy-jazz guitarist Joe Bawelino and internationally acclaimed bassist Michael Hauser served as both teachers and inspirations for Karl-Heinz Vogel’s work in the area of jazz music. Engagements ensued during this time with various jazz ensembles and theatre productions (Theater Lübeck, among others). In 1987 “Kalle” Vogel, as he is known to his best friends, founded the “Hot Club Hamburg”. In the mid-90’s Karl-Heinz Vogel changed his residence to Leipzig. It was here that he initiated the gypsy band “Trisotto Djangoletto” as well as the band “Swinging Strings” with the bassist Kilian Forster. For diverse jazz projects, which ran the gamut from be-bop to fusion, he collaborated with Ulla Viol and Andrea Höhn, among others. 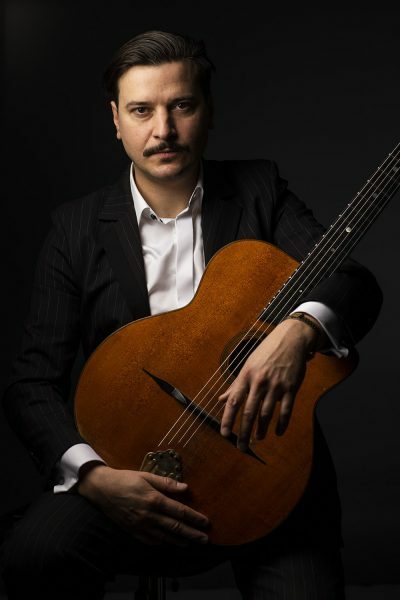 Despite this musical diversity, gypsy-jazz swing had always remained a driving force for “Kalle” Vogel. His passion for this music plus mutual sessions and engagements with the violinist Thomas Prokein led in 2002 to the founding of the “Hot Club d’Allemagne”. Animated by this collaboration, he generated numerous original compositions which, in combination with the repertoire of his greatest idols (Bireli Lagrene, Dorado Schmitt, Lulu Reinhardt, Stochelo Rosenberg, Angelo Debarre), enriched the concert programmes of both the “Hot Club d’Allemagne” and the “Karl-Heinz Vogel Trio” established in 2005. Karl-Heinz Vogel plays an instrument built by the Leipzig master luthier Matthias Voigt.